Back in February, I had a chance to test the HoloLens 2 for a couple of extended periods, and I was very impressed. But I didn't have much in the way of first-person footage to show off what it looks like while using the HoloLens 2. Well, now we have a great piece of first-person footage that illustrates just how powerful an update the HoloLens 2 is. Microsoft principal user experience designer Dong Yoon Park recorded the footage and shared it on the Mixed Reality Toolkit YouTube channel over the weekend. 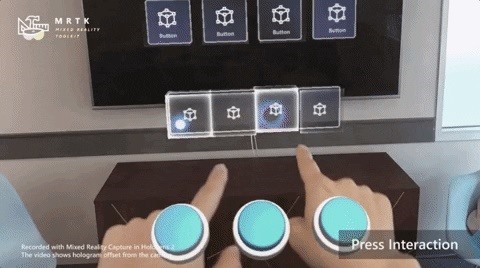 Rather than show off a commercial-style demo of the device and its software at work, Park's video gives us a refreshingly no-frills, first-person view of how the system truly performs via Microsoft's open source Mixed Reality Toolkit (MRTK) hand interaction component. One part of the video shows off the bounding box interaction I described earlier this year. For example, when dealing with a standalone virtual object, you'll only see a realistic version of something like a coffee cup (with amazing occlusion). But when you pass your hand near its side, in just the right way, the bounding box appears, along with the small handles that allow you resize it or place in another area. Similarly, the accuracy of the system's hand tracking, which mirrors up to 25 joints in the human hand, allow for a wide range of interactions that rely on precision. Some of the examples include pressing relatively small virtual buttons, as well as well playing a piano keyboard. Sure, we saw the keyboard demo on stage, but seeing it from a first-person point of view gives you more of a sense of just how precise the HoloLens 2 really is. If you're more on the developer side of things, it's important to note that what you're seeing in the video is pulled from the MRTK v2 Hand Interaction Examples scene, which means you can duplicate everything in the video. The MRTK v2 also offers the Input Simulation Service, which allows you to simulate the articulated hand tracking available on the HoloLens 2. 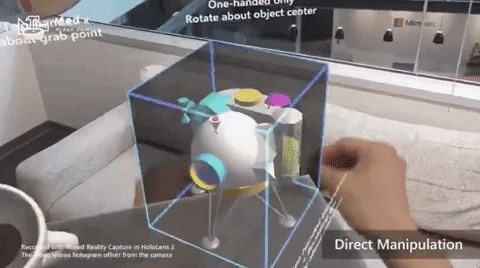 The video's demonstration of articulated hand input is so impressive that, if you're not among the few who have used the unreleased HoloLens 2, you might wonder if the demo is enhanced in any way. 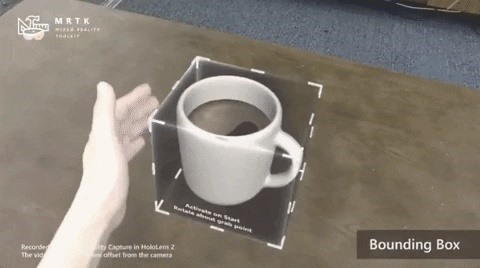 Allow me to erase any doubt: This is exactly how the HoloLens 2 looks and performs in real time, from low latency interactions to the responsiveness of virtual objects when met with natural hand interactions. In the realm of enterprise business, the HoloLens 2 is a no-brainer if you've even remotely considered deploying augmented reality as a tool for training, productivity, or support. I haven't been this excited about immersive computing since the debut of the Oculus Rift VR Touch controllers. The natural feel of having virtual hands in VR completely changed my interest and enthusiasm for VR. 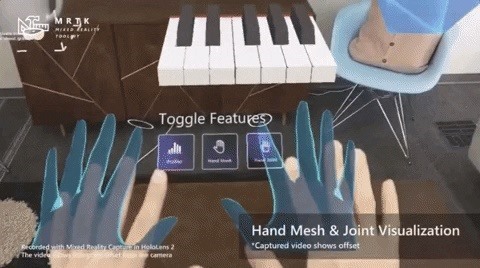 The big difference here, with the HoloLens 2, is that no controls are mimicking your hands and fingers — you're just using your real hands and fingers to control the virtual world in front of you! The experience of using HoloLens 2 for the first time is powerful, and this newly released video is the best visual demonstration of that power to date. At $3,500 per device, the price tag is steep, but turning science fiction into reality doesn't come cheap.